HDMI 2.1 Specification released - Dynamic HDR, 48Gbps bandwidth, up to 10K resolution, 8K60 and 4K120 refresh rates. HDMI Forum, Inc. today announced the release of Version 2.1 of the HDMI (High-Definition Multimedia Interface) Specification which is now available to all HDMI 2.0 adopters. HDMI Specification 2.1 is the most recent update of the HDMI specification. This latest HDMI Specification supports a range of higher video resolutions and refresh rates including 8K60 and 4K120, and resolutions up to 10K. 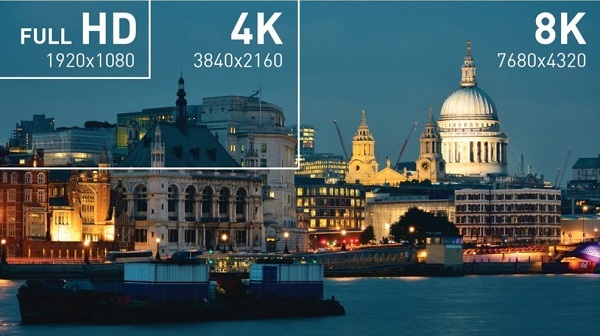 Dynamic HDR formats are also supported, and bandwidth capability is increased up to 48Gbps. Version 2.1 of the HDMI Specification is backward compatible with earlier versions of the specification, and was developed by the HDMI Forum's Technical Working Group whose members represent some of the world's leading manufacturers of consumer electronics, personal computers, mobile devices, cables and components. + Higher video resolutions support a range of high resolutions and faster refresh rates including 8K60Hz and 4K120Hz for immersive viewing and smooth fast-action detail. Resolutions up to 10K are also supported for commercial AV, and industrial and specialty usages. + Dynamic HDR support ensures every moment of a video is displayed at its ideal values for depth, detail, brightness, contrast and wider color gamuts-on a scene-by-scene or even a frame-by-frame basis. + The Ultra High Speed HDMI Cable supports the 48G bandwidth for uncompressed HDMI 2.1 feature support. The cable also features very low EMI emission and is backwards compatible with earlier versions of the HDMI Specification and can be used with existing HDMI devices. + eARC simplifies connectivity, provides greater ease of use, and supports the most advanced audio formats and highest audio quality. It ensures full compatibility between audio devices and upcoming HDMI 2.1 products. ◦Variable Refresh Rate (VRR) reduces or eliminates lag, stutter and frame tearing for more fluid and better detailed gameplay. ◦Quick Media Switching (QMS) for movies and video eliminates the delay that can result in blank screens before content is displayed. ◦Quick Frame Transport (QFT) reduces latency for smoother no-lag gaming, and real-time interactive virtual reality. + Auto Low Latency Mode (ALLM) allows the ideal latency setting to automatically be set allowing for smooth, lag-free and uninterrupted viewing and interactivity.